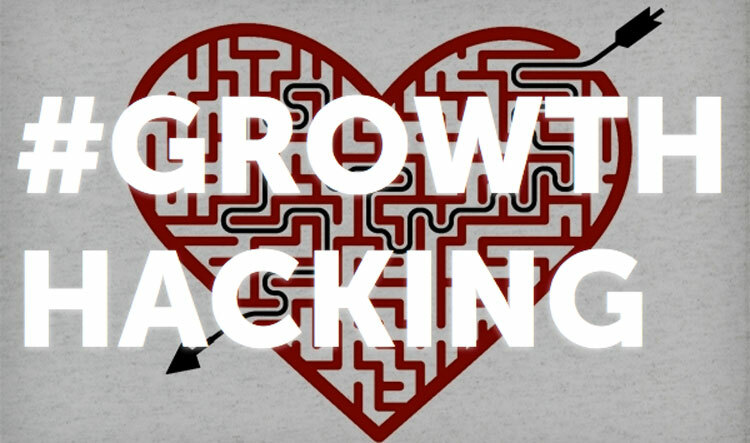 The term “growth hacking” has become a recent buzzword in the search marketing industry. Introduced by Sean Ellis, the expression refers to a marketing strategy that focuses on driving traffic that leads to conversions. It is particularly popular with start-ups, as it solely revolves around building up numbers to gain rapid growth for a brand. It doesn’t matter what your strategy is, any decision made needs to focus on the numbers and the growth potential. To become a growth hacker, marketers need to adopt a good psychological understanding and implement clever marketing tactics. In the world of content marketing, some of the ways success can be measured are through traffic levels, visitor numbers and content shares. These measurements all therefore ultimately fall under the objective of “growth” and can work under the same umbrella as growth hacking. One of the best examples of growth hacking in the history of content marketing is when Hotmail added the line “P.S I love you” to the bottom of their emails back in 1998. This small piece of content resulted in more than 12 million email accounts being set up and Microsoft later bought out the company for around £238 million. When it comes to creating content, catchy headlines are one of the most effective ways to grab the attention of an audience and encourage them to share your stuff. Sometimes a good headline can literally be the difference between whether someone clicks on an article or not. It isn’t easy to come up with compelling headlines, but too many marketers will give up very quickly and resort to just using something plain and generic. Creativity is a key part of growth hacking, as that’s what brings in the numbers and causes content to go viral. Once you have created your content, sit down and write a few different headlines using a range of strong words that will make people want to read more. Use numbers and interesting adjectives and work out what is most likely to persuade the reader to want more than just the title. You want to make sure that you are giving your audience a clear incentive as to why they should be viewing and sharing the content you are creating. The best way to do this is by creating unique content that they wouldn’t find anywhere else. There are lots of different ways you can do this, including creating informative product guides, offering downloadable ebooks, announcing special promotions, or even possibly by designing a game of some sort related to your industry. If you don’t know where to begin, then one of the best things to do is crowdsource information from your audience. Use your social media channels to engage with your fans and followers and ask what they would like you to create and what would interest and benefit them – just the fact you have asked for their opinion will encourage to them share the content once it has been created. Most people have now got round to implementing calls to action on their website and blog, but that doesn’t mean they are working. The key is to make strong CTAs that your visitors can’t refuse. Sometimes it pays to really emphasise what you want your readers to do in order to actually grab their attention and give them a reason to share your content or click through to your site. Include a call to action on every single blog post or piece of content that you create that relates back to what they have just read. Decide what your end goal is, whether you want to generate shares, keep visitors on your site, or direct them to a product page, and then make sure all your CTAs are designed to reach that end goal. One of the main ways to hack your content is by making it as sharable as possible. Most blogs have the usual “share this” buttons at the top or bottom of their content, but what’s going to actually encourage readers to share it? Using CTAs as mentioned above, you can actually ask your readers to share your content. It’s as simple as saying, “Click here to tweet this article”, or “use the button below to share this post”. There is a couple of great WordPress plugins that can help you get your content shared, the first is called “Click to Tweet” and it pulls quotes and custom text from your blog post and presents it to readers, making it easier for them to share it. The second is called the Markerly widget and it prompts users to share the content when they engage with any videos, images or text on your site. Search is very much about social these days, but your social networks won’t grow on their own. The best way to get noticed in search is by having fully branded, consistent social networks with a large target audience on each. If you don’t have that many Twitter followers, then go and find people to follow that you are interested in and fit into your target audience, Twitter is a two-way network and the majority of people will follow back a brand that is relevant to their interests. Google Plus is often overlooked when it comes to social media too, but by growing your circles you will create a larger audience base to share your content with. When it comes down to numbers, as growth hacking usually does, the more people who see your content, the more people who will click through to it and the more people who will then go on to share it down the line.